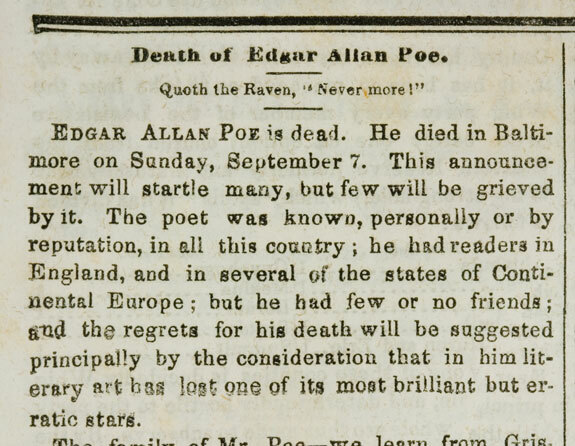 Nothing brings me more joy than Edgar Allan Poe’s obituary. That’s pretty good. But most of it is pretty good.